You must make reservations at least 5 minutes in advance of the time at Talula’s Garden. Dinner: Sunday - Thursday: 5:00pm - 10:00pm, Friday - Saturday: 5:00pm - 11:00pm; Sunday Brunch 10:00am - 2:00pm. We offer valet service during all of our normal business hours. We discount parking at the Walnut Towers garage at Eighth and Walnut streets for dinner service only. 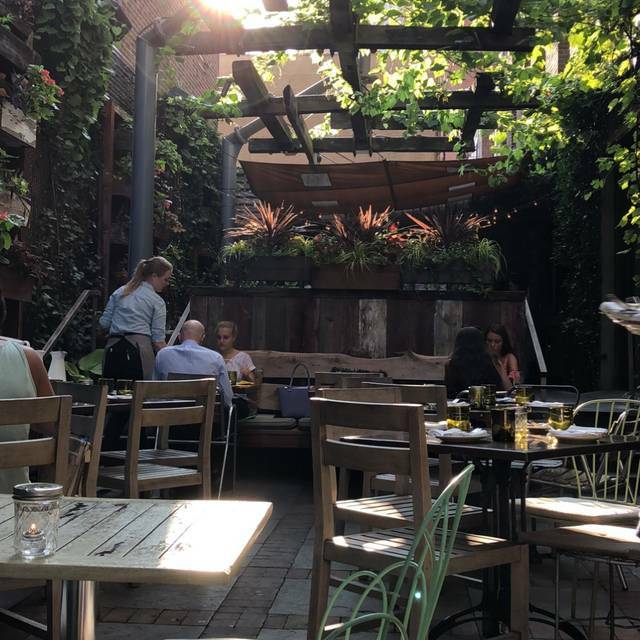 Behind the wrought iron gate, past the herbaceous patio and through the atrium is Talula's Garden, the warm and elegant Washington Square eatery from Aimee Olexy and Starr Restaurants. The modern menu, prepared with carefully-sourced ingredients and a light European touch, changes with the seasons. The artful cuisine, hospitable staff, sustainable spirits, and a focus on cheese make the dining experience here incredibly memorable. Lovely restaurant. Outside dining space is unbeatable. Great cocktails with local gin featured. Got the mozzarella and asparagus soup followed by the short rib. Man, it was delicious. Pricey pricey pricey, but a good place for a romantic evening. Everything was excellent and come out very fast. Everyone at the restaurant was very attentive. My favorite restaurant in Philadelphia. 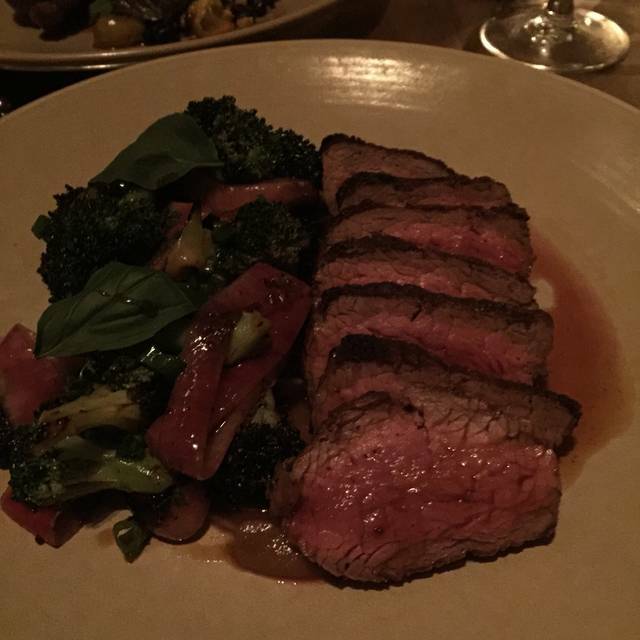 Every dish knocks it out of the park. 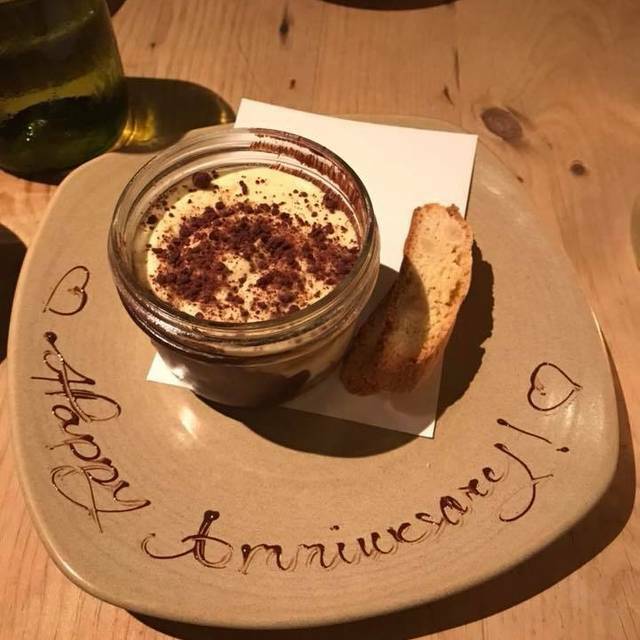 One of our favorite restaurants in Philadelphia, from the beautiful setting, to the excellent service, to the magnificent food, it never disappoints. We had a great brunch- the food and service was terrific! 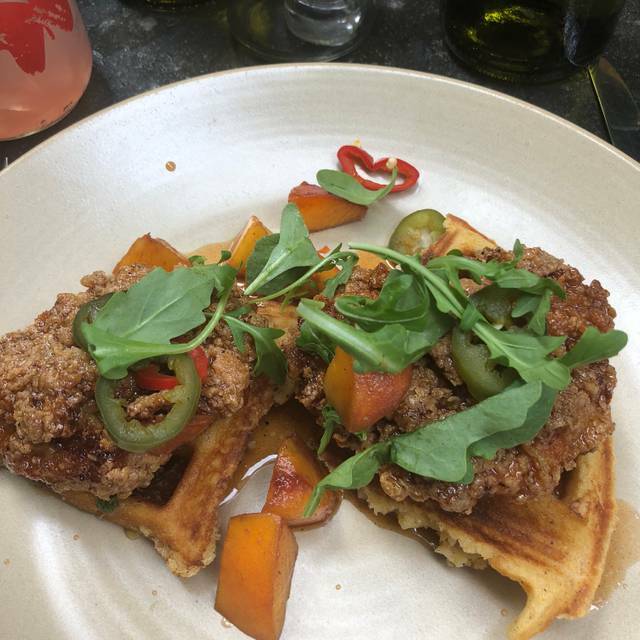 The team went out of their way to make our Eater Brunch a special one! Incredibly fresh food in a beautiful atmosphere! Breakfast in the garden! My boyfriend had shrimp eggs Benedict and I had pancakes with lemon curd. Both were delicious. An order of “The Dude” (modified White Russian) accompanied our meal. Wonderful! Great service very good food and a wonderful setting. The food is extremely fresh. The portions are on the small side but reasonable. The outside area is perfect for a date night. The staff was very knowledgeable and attentive. I would definitely come back. This would be 5 stars, except that the portion sizes for entrees are simply too small, by at least 1/2 size and possibly more. I highly recommend that they double the size of the portions. A bowl of pasta should not be the size of a fist. A slice of salmon should not be tiny. Excellent, friendly establishment. Will definitely return and recommend to others! 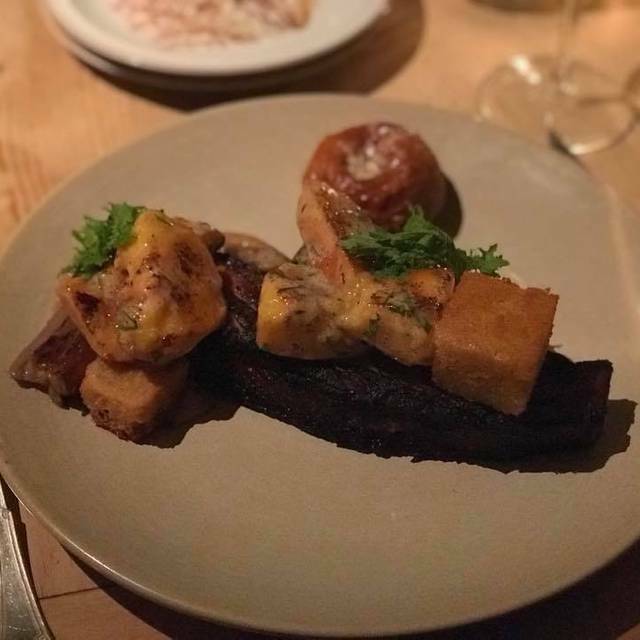 The food is very creative and very well prepared and presented, but for an upscale restaurant they shouldn't treat you like the airlines treat passengers in coach. The seating near the front entrance is so tight that when the server is waiting on the table next to your's, their behind is in your face or almost on your table. Just remove one table for two and everyone will be more comfortable and have a more enjoyable experience. It's a little too noisy, but so are most center city places. Found restaurant on TripAdvisor and it had excellent reviews. Our experience exceeded that on all levels. Was most impressed how the entire staff was very polite even though they were swamped the night we were there. It's amazing every time. Every dish and cocktail are incredibly memorable. And the staff are warm and friendly. We always are at Talula's before a play and always want to come back the next time we are seeing a play. Some of the indoor seating is tight, but otherwise there is a nice ambiance especially with outdoor seating when the weather cooperates. The food is always amazing and even the coffee is never to be missed. Will definitely be back! Some of the best food in the Philadelphia area. We had Sea Bass and Scallops and both dishes were excellent. Ate outdoors so the dinner was near perfect. Order a cheese plate for dessert. Great food and service. Smoked trout Caesar salad and the drinks were excellent. Bass, chicken... whatever you pick it will be delicious. I would return again and now curious about the original in Kennet Square. Nice touches to make our celebration special! Our server was lovely, and the breezy outdoor seating area was relaxing and refreshing. A review after so many other reviews of Talulah’s? Still, consistently excellent. The warm welcome at the front. The table I requested (on the windows) so we could talk and hear each other (as very popular restaurants so, this one is relatively quiet). Delicious food in just right (not big) portions. Great cocktails. Great wines. Servers are so very pleasant. It is a little pricey but worth it. We had not been to Talula’s in a while. The cheese plate was excellent, as was the duck, tuna crisp and Caesar salad with trout. Drinks were great and service too. We had a delightful evening. My new favourite place in Philly! I dig the vibes here. Absolutely delicious. Probably the best cheese plate (the classic!) 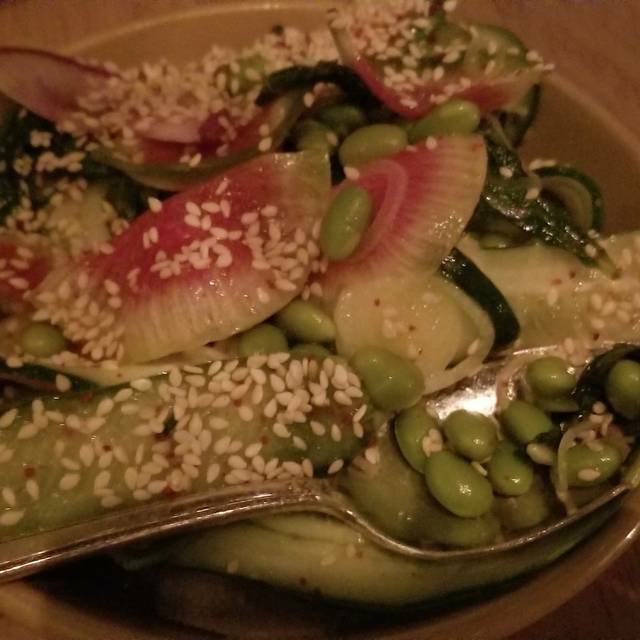 I've had in a long time, the appetizers were incredible (tuna crudo and strawberry goat cheese salad), and the pasta was perfectly al dente and flavorful. We sat in the outdoor patio, which is a beautiful setting with lovely greenery and lighting - felt like we were dining in a garden. Highly recommend this place! We were tempted at first to order a traditional meal, but our server walked us through some options to build a very nice experience. Excellent cheeses, food, cocktails... there is still a lot on the menu we want to try. The dining room is beautiful. My only complaint was the noise, the restaurant kept cranking up the volume on the music as the place got busier. That’s one trend I will be happy to see end. Otherwise Talula’s Garden was an absolute delight, and we will be back. The cheese tray was the perfect amount for 4 people and was over the top good!!! 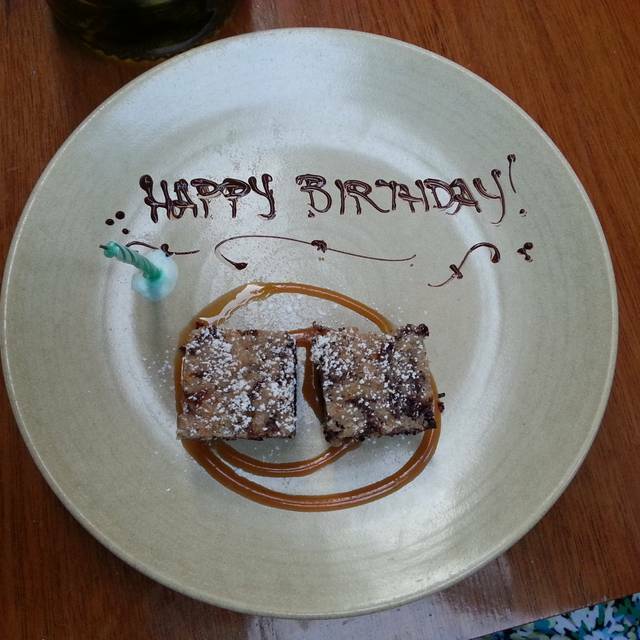 Our server added a nice birthday touch to our deserts! The servers were welcoming from the start. I went here with my grandmother, who is hard of hearing, and everyone was so kind and accommodating, which made our experience so wonderful. And to top it off, the food is absolutely incredible. Excellent food and service. The tables are a bit close together but the food is fresh and delicious. It’s not a huge menu, but it offers nice choices and each one is beautifully prepared. Servers are attentive and efficient! I thought the whole team at Talula's garden was just great. 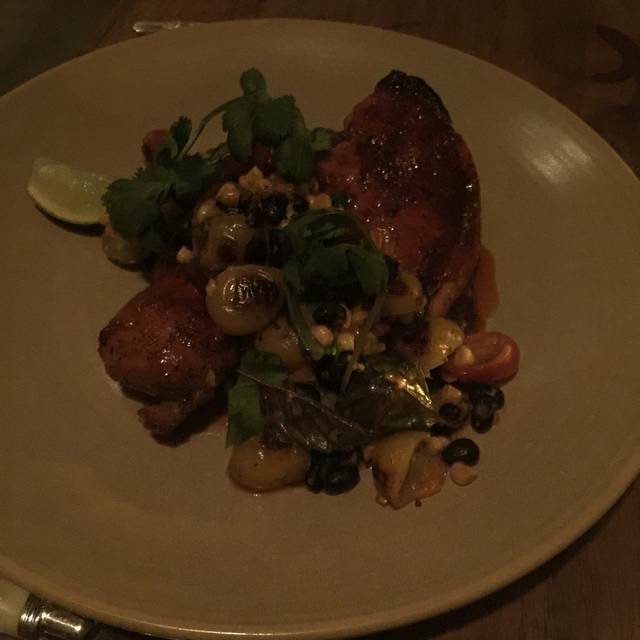 Very nice atmosphere, the food was very nice and presented well. I was really impressed with the entire experience. Phenomenal cheese tray and braised short rib. They provided an exceptional brioche with chive butter . Great place to walk to if downtown and can see historic sites in the way (liberty bell/independence hall). Quiet, quaint, exceptional friendly and knowledgeable staff. The food is absolutely amazing. On par with any single Michelin Star restaurants I’ve been to in NYC, Chicago, or Napa Valley. The food and service were beyond my expectations. The spring cheese platter for an appetizer was excellent. And the short ribs and scallops we had for entree were delicious. 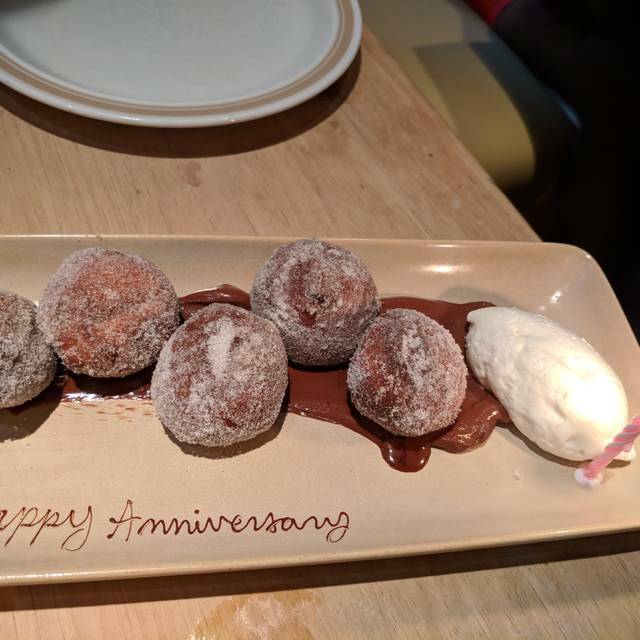 Don’t forget to get the donuts for desert, they’re amazing. We were seated immediately as we had a reservation for brunch but waited about 10 minutes before I asked a server to see if someone could come over to help us. I wasn't complaining, just wanted to make sure they saw us. After that, we received the best service that day from our server and a few different managers. The food was delicious, as it has been when I've visited before, and we will definitely be back! This restaurant, the atmosphere, the staff and the food will not disappoint! we were asked if there were any dietary restrictions or allergies. I said strawberry. I was assured the cheese plate and my meal would have none. Less than an hour after leaving the restaurant I broke out into severe hives and had to stop and get emergency Benedryl. Great Sunday brunch. Highly recommended. The food was incredible and tasted very fresh. Cocktails are fairly priced and also very good. Staff was amazing - everyone super polite and attentive. We went to celebrate our anniversary and we received three complimentary plates with our meal. Outdoor seating is so beautiful. We sat outside near the entrance which was a bit chilly; the heated lamps were not enough. Would go back, but ask to sit further from the entrance next time.